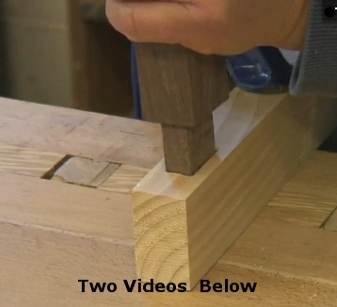 This image was taken from our video instructional page for how to make a handmade mortise and tenon joint. The tutorial walks you through the entire process of making accurate cuts with a chisel and brass-back hand saw. This is up-close footage made from a professional woodworker. The handmade mortise and tenon is one of the most difficult joints to make. There is a high level of accuracy required in order to make the two pieces of hardwood fit together perfectly.